Both houses of the United States Congress are now scheduled to be in session on Monday, December 16, 2013, forcing the Wichita Aero Club to revise its plan to host it’s annual On-Air Summit at the Doubletree by Hilton Hotel at Wichita Airport. Instead, four leaders from aviation industry suppliers will make up the panel. Daniel McCoy, Aviation Reporter for the Wichita Business Journal will moderate the discussion. “First sequestration and the government shutdown threatened to extend the legislative calendars in the US House and Senate…and then the problems with Obamacare created a host of unanticipated hearings and a flurry of legislation that dashed virtually any hope of seeing the Congress end its current session before December 16—the date of our ON-AIR SUMMIT,” said Dave Franson, president of the Wichita Aero Club. Rod Wilson, President of Air Capital Interiors which offers services ranging from complete aircraft interior refurbishments with custom designs and materials to simpler furniture and upholstery repairs. “All of these panelists are industry veterans who deal with diverse customers and concerns. 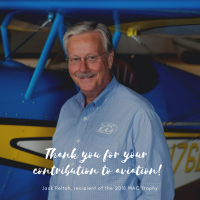 They cover a broad spectrum of the general aviation industry and can offer perspectives from the other side of the supply and demand equation when compared to those of the OEM CEOs from whom we heard last year,” Franson added. The Wichita Aero Club will honor existing reservations for the December 16 luncheon that were made in anticipation of the ON-AIR SUMMIT. Those wishing to change their plans or get more information on the new program can connect on-line to the Aero Club’s website at www.wichitaaeroclub.org or call 681-4471. Reservations and information can also be obtained by emailing [protected email address]. The cost to attend the luncheon is $30 for members and $40 for non-members.